Normally we'd give you a little bit of flak for not keeping up with the news, but at least you had a good reason. The holidays can be crazy and the entire month of December seems like a blur in retrospect. But now your guests are out of the house, you've recovered from your New Year's party, and it's time for life to return to normal. That means you've got to get a handle on everything that went down last month - and there sure was a lot of it! Well it's about time! Spielberg's breakout action film will finally be coming to Blu-ray on August 14th. It's a shame not to have it out on July 4th since that's when the movie takes place, but a summer release is still appropriate. Special features are not yet announced. Martin Scorsese's picture on the life of Jesus hits shelves on March 13th in the form of a Criterion Collection Blu-ray. 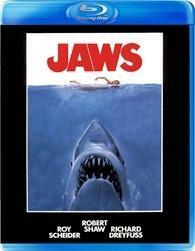 Included on the disc are a 1080p digital transfer, commentary from Scorsese and Willem Dafoe and plenty more. Long before James Cameron tackled the event, Roy Ward Baker made 'A Night to Remember,' a film from 1958 about the sinking of the Titanic. The Criterion Collection Blu-ray comes out on March 27th, complete with audio commentary, behind the scenes footage and more. 'Monty Python and the Holy Grail: 35th Anniversary Edition' Dated for Blu-ray ! It doesn't get much funnier than the 1975 film that helped to cement the legacy of Python in the hearts and minds of fans across the globe. There's not much information on what's coming along with the new release, but it'll hit shelves on March 20th. Roland Emmerich takes us on a journey to explore just who created the works of William Shakespeare with 'Anonymous,' coming to Blu-ray on February 7th. You'll find commentary from the director and writer as well as a few other goodies. Pretty cool stuff here. NBC is putting the Super Bowl online, allowing you to watch live from a computer for the first time ever. If you're a Verizon customer it gets even better, since you'll be able to stream directly from your phone. One of the things that's sorely missing when it comes to digital distribution is the ability to watch the special features that fans love. The version of 'Avatar' for iTunes brings quite a bit of that to digital distribution. OLED is a display technology with a lot of promise and LG's 55" inch set gives us some hope for the future of the format. We'll have to wait to see what happens of course, but reasonably sized OLEDs are a step in the right direction. A study ordered by the folks at Logitech revealed that 53% of respondents would rather have a TV in their living room than a couch. Just goes to show how important having a nice set to watch really is. A new wireless technology from Intel will be baked into LG's 2012 line of 3D Smart TVs. The use is specific to Intel based devices, but this could be a start down the road of wireless video for all TVs. If you pick up 'Twisted Metal' this Valentine's day you'll get a downloadable copy of 'Twisted Metal: Black' for free. You won't have to buy a special edition, but the download code only comes with the first printing of the game. We're really loving all these HD remakes that take away the pain of playing an SD 4:3 game on a nice HDTV. 'Devil May Cry' will be joining the fray on April 3rd, 2011. The 3DS was pretty pricey when it launched and was dropped down fairly quickly. If you're one of those that picked up the system at the original price, you're entitled to some free GBA games, available now from the eShop. 'Mega Man' hasn't been getting much love from Capcom these days but company VP Christian Svensson says that's going to change. He says Capcom won't be announcing anything until they're sure it's coming out, but that plans are in the works. The latest addition to the 'Elder Scrolls' series has been bringing in some big money, but what might surprise some folks is just how good it's been doing on PC. 'Skyrim' sold triple the amount of the next best selling PC title in 2011. Now those are some good bragging rights for the folks at Bethesda.